The Walther PPK/S performs as good as it looks on the range and in personal-defense scenarios. The author chose to replace the factory front sight with one from XS Sight Systems, making the gun an excellent carry option—despite being larger than newer .380 ACPs. Sometimes it takes a little public relations boost for a product to achieve the recognition it deserves. Case in point: the Walther PPK. 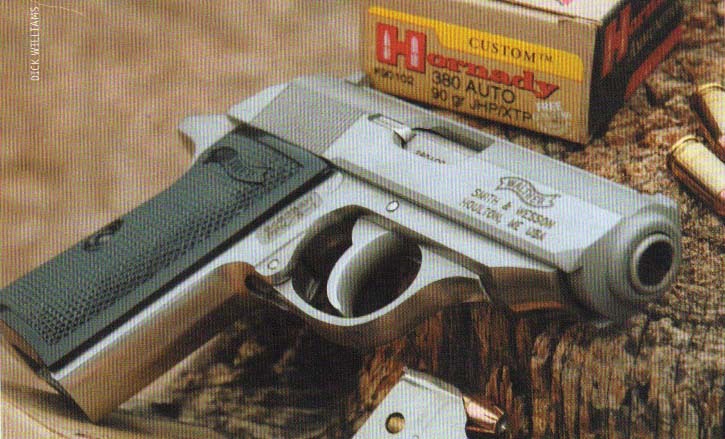 Recog­nized by knowledgeable handgunners as a jewel of German engineering, it was a fictional English spy who made the little semi-automatic almost a household word. 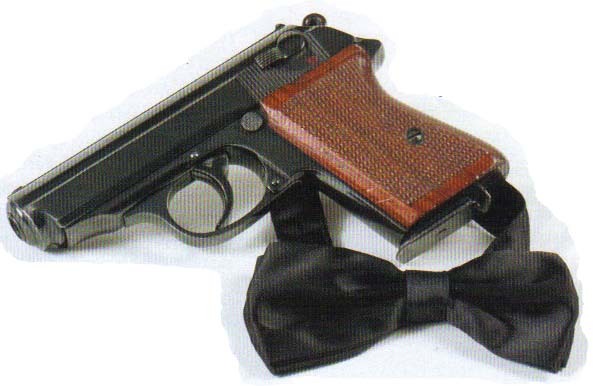 The compact pistol was a perfect choice for James Bond to carry beneath the impeccably tailored tuxedos and expen­sive suits he wore almost nightly in the great casinos of Europe. While I’ve never owned an Aston Martin, I did recently acquire a Walther PPK/S during my search for the “shaken, not stirred” way of life. As it turns out, the PPK/S is a nifty concealed-carry gun. My Walther is a stainless steel model distributed by Smith & Wesson. It’s a simple blowback action, like most semi-autos chambered for .380 ACP. Barrel length is 3 1/4 inches, about .6-inch shorter than the original PP barrel. The PPK/S is larger and heavier than more modern .380s with polymer frames and even shorter barrels—something you will appreciate when firing the gun. A true single-action/double-action pistol, the little Walther can be fired when the hammer is cocked and the trigger is in the rearward position (single action), or when the hammer is down and the trigger is in the forward position (double action). As you would expect, its trigger pull is much lighter in single-action mode, which translates to better accuracy. Unlike many double-action semi-autos, the PPK/S is compact enough for shooters with medium-sized hands to get enough finger on the trigger to effect a controlled double-action pull. The safety lever is mounted on the slide rather than the frame, and it is quite interesting. If engaged while the hammer is down, the safety prevents the hammer from being cocked and the trigger from being pulled. On the other hand, if engaged while the hammer is cocked, the safety rotates a block and drops the hammer safely against it while locking the trigger in the rear position. This safety is not as easy to operate as that of a 1911, but it is manageable. 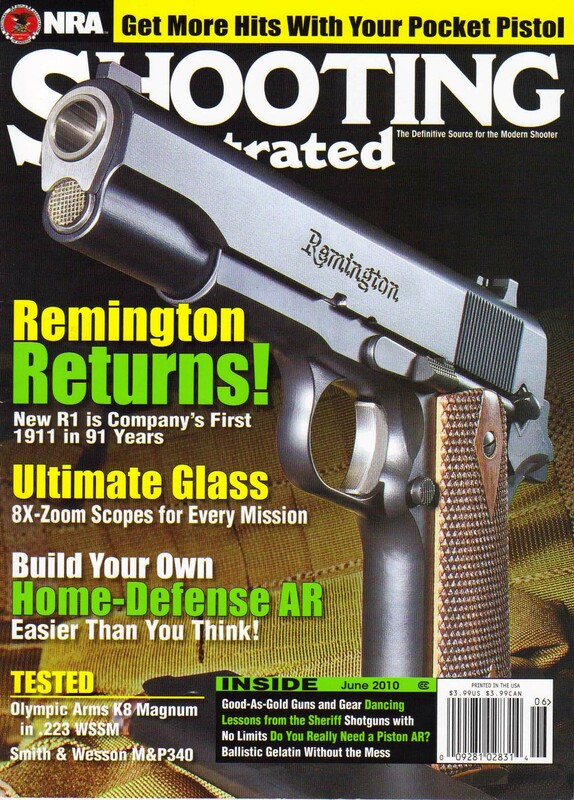 Its magazine release is a frame-mounted button located just behind the trigger and below the slide. Both the magazine release and the safety are set up for right-handed shooters. The grips are plastic with molded checkering—nothing fancy or elaborate, but more than adequate to maintain your grip when firing the relatively mild .380 ACP cartridge. The PPK/S is sold with two, seven-round magazines. One has a flat base for easier concealment, while the second has an extended finger rest for more comfortable shooting. My first range session with the PPK/S was unusually fun but perhaps less than scientific. I had some time around hunting camp, so I set up a couple of pie plates at 10 yards and used several brands of .380 ammo. The focus was on verifying the little pistol could function under rapid-fire conditions with repeated kill-zone hits. There were two malfunctions, specifi­cally failures to feed, and both occurred with the same Federal ammunition that seemed to be a touch longer than rounds from other manufacturers. The magazine and ejection port dimensions are rather tight, which probably explains the difficulties I encountered when trying to chamber rounds with a slightly greater overall length. The rest of the ammo I tested reliably transitioned from magazine to chamber 100 percent of the time. I also found loading the single-stack PPK/S magazines was more difficult than loading 1911 magazines. Keeping all shots in the 10-inch plates was fairly easy when running at a rapid, but controlled rate of fire. The safety functioned flawlessly and magazines dropped clear of the gun when the release button was pushed. Slapping loaded magazines into the gun demands a little care. The heel of my shooting hand protrudes well below the pistol and tended to block a new maga­zine from fully locking into place. It seemed easier to reload with the extended magazine than the flat-base model, but I still needed to rotate my shooting hand off the grip to ensure proper seating. The PPK/S comes with conventional fixed sights: a small front blade and a rear notch. The front blade has a red dot in it while the rear sight has a red mark under the notch. In bright daylight, the sights worked fine, but things changed dramati­cally as light faded. I had trouble seeing either the sights or the red marks, and when I could see red, I couldn’t tell whether I was looking at the rear or front sight. This probably had more to do with my poor eyesight than the pistol. Regardless, I needed to make a correction to ensure I could handle a defensive scenario in low-light condi­tions with the PPK/S. I shipped the gun to XS Sight Systems for the company’s Big Dot treatment. Three weeks later Marketing Vice President Dave Biggers brought the remodeled Walther to me at Gunsite with the new sight system installed. With the Big Dot sights, the PPK/S proved to be an excellent defensive firearm for low-light scenarios. The big white front dot is visible (if not perfectly focused) to my naked eye so I can put it on the center mass of a close-range threat and feel confident of making hits. The small tritium bead in the center of the white dot is visible in even lower light. Did I surrender some precision in longer-range shooting? Yes, although several of us demonstrated it is possible to put hits on a torso-sized target at ranges beyond 25 yards with the XS Big Dot. But keep in mind a defensive scenario suggests engaging targets at very close distances, and it is here where the XS sight excels. I mentioned the PPK/S is considerably heavier than its modern, polymer counterparts. This means you will have to put a little more thought in how you choose to carry it. Galco’s Pro 436 holster fits the PPK/S beautifully. And with its rough-side-out finish, the holster holds its position inside the pocket perfectly when drawing the Walther or when just moving around.